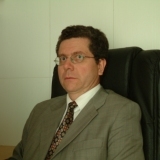 Rui Villela Ferreira serves as a Service and Support Country Manager specializing in engineering services and project management with a particular focus on OSS solutions for Telecommunication Service Providers and Electronic Instruments Calibration and Repair. Mr. Ferreira also supports the efforts of Abrinq which aims to engage the broader society in making children and adolescents "the absolute priority" on the nation's agenda including campaigns to reduce illegal child labor by mobilizing citizens as well as engaging international actors such as UNICEF and the International Labour Organization in the effort. He received his M.B.A. in Business Administration from the University of Pittsburgh and his B.S. in Engineering from ITA. He also enjoys running, reading and travel outside of work.